Hold off on the weed spray! That shining yellow flower that pops up all over creation in the spring doesn’t need to be eradicated. Although dandelions are typically thought of as a pesky weed, they are entirely edible from root to bloom and have many other uses as well. So if your world is being overrun by dandelions, check out some of these fantastic ways to put them to use for you! 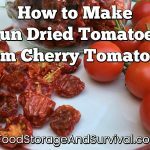 A roundup of Dandelion Recipes Includes recipes for Cream of Dandelion Soup, Dandelion Egg Salad, Split Pea Dandelion Bud Soup, and more. Get cooking with dandelions with the Ultimate Dandelion Cookbook! And if you don’t want to eat the dandelions, you can always use them to Feed your chickens! 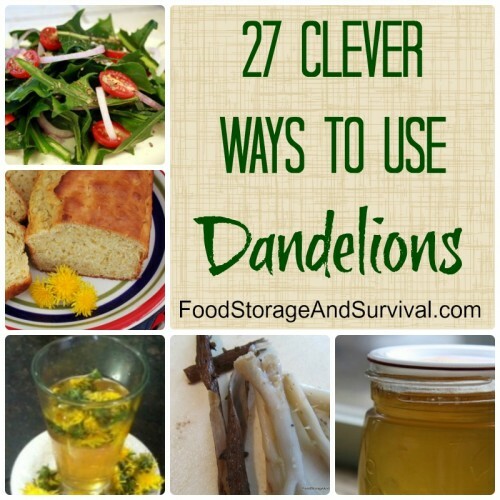 Who knew there were so many fantastic ways to use dandelions? So when those beautiful yellow flowers pop up this spring, try some of these uses and make dandelions a friend instead of a foe! Super ideas. I had not heard of a few of those! Thanks for sharing. I just found your site today through a Twitter referral as someone I might want to follow. I am not an expert like you, but I continually try to learn and pass on good information. I am a writer and have a series of three post-apocalyptic novels that I promote on my simple blog. I was so impressed with your great presentation of info on dandelions that I just did a quick post on my site to refer people to your post here. I’ll retweet you and follow your new posts when possible.